Birchall Blackburn Law took home 5 awards for their exceptional customer service in conveyancing at the prestigious ESTAS Awards hosted in London. The firm bagged, Best Regional Group – Gold, Best in County – Southport, North West (South) – Manchester, Silver, North West (North) – Preston, Bronze and North West (North) – Southport, Silver. 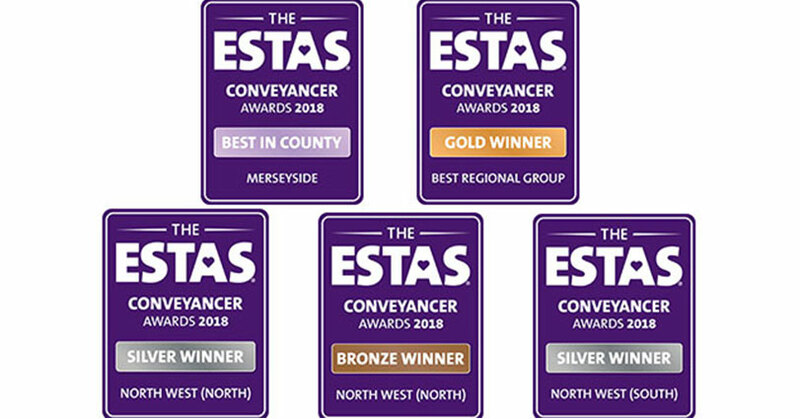 The ESTAS Awards determine the best conveyancing firms in the UK based purely on feedback from customers who are asked a series of questions about the service they have received from their conveyancer or solicitor. 8,000 surveys were completed by customers during the competition. The awards were hosted by Phil Spencer on Friday 19th October at the Grosvenor House Hotel, London.